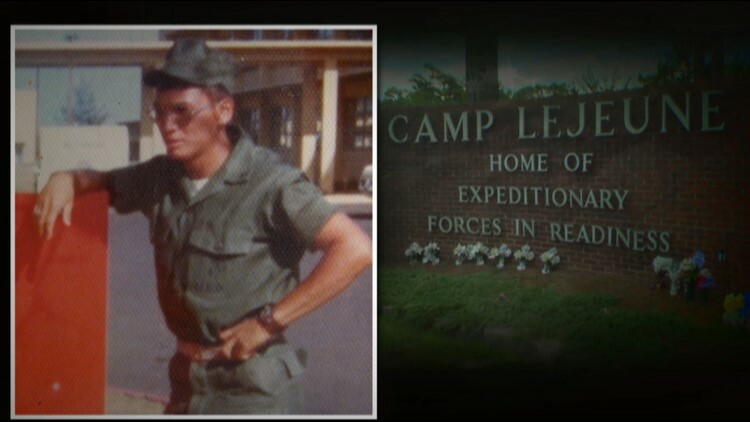 In the wake of a KARE 11 investigation, the VA reconsiders its denial of a kidney transplant to a Native American Marine Corps veteran from Minnesota. Bemidji, Minn. — The small Delta commuter jet traveling from Bemidji touched down at the Minneapolis-St. Paul International Airport (MSP) with few passengers knowing the quiet, dark-haired man onboard is on a journey he hopes will save his life. “It’s been about a good six years,” Frank Sherman said of his quest for a kidney transplant. Frank was catching a connecting flight to Pittsburgh where he will undergo pre-transplant testing at the VA facility there. “It’s a very good step that they’re going forward,” Frank said expressing cautious optimism. He has every reason to be leery. A member of the Leech Lake Band of Ojibwe, Frank served in the Marine Corps from 1972 to 1976 rising to the rank of sergeant. He now has end stage renal disease. His VA records show it was likely caused by drinking contaminated water during his service at Camp Lejeune. In June, KARE 11 investigated why the VA had refused to put the veteran on the transplant list despite recommendations from all of his doctors. They called him a good candidate for a transplant. “There is no valid reason for him not to be selected,” Dr. Mark Becker, Frank’s primary care physician at Cass Lake Hospital, wrote to the VA.
Frank’s private nephrologist, Dr. Jason Bydash, concurred. “I think that Frank would make a good transplant candidate,” he told KARE 11. Still the VA denied him. Records reviewed by KARE 11 indicated Frank was denied because the VA believed he was not mentally alert enough to follow medical instructions and take care of himself after a transplant. Dr. Bydash told KARE 11 he believed the VA made a life-threatening mistake. “Frank in my opinion does not have significant neurocognitive deficits,” he said. Frank grew up on the reservation speaking Ojibwe and does not read well. So, records show he did poorly on a standard memory test use to determine whether he could care for himself after the transplant. But records reviewed by KARE 11 raised serious questions about the accuracy and fairness of the VA’s interpretation of the results. “And they think because you don’t know a word that’s a memory. It’s not a memory, it’s a word you don’t know.” Frank said. Even so, the VA refused to put Frank on the transplant wait list. “What does that say to you?” KARE 11 investigative reporter A.J. Lagoe asked Dr. Bydash. Frank’s case is part of a broader problem. KARE 11’s two-year “Distance, Delays and Denial” investigation exposed deadly delays, prohibitive travel requirements, and inconsistent, overly restrictive eligibility criteria in the VA organ transplant program. “How many patients do you think unnecessarily died?” VA whistleblower Jamie McBride was asked. “Thousands,” he replied. McBride is the Manager of Solid Organ Transplants at the VA hospital in San Antonio, Texas. Earlier this year, the head of a government watchdog agency accused the Department of Veterans Affairs of failing to properly address McBride’s complaints about systemic flaws that limit access to life-saving organ transplants for veterans nationwide. In his letter to the President, Special Counsel Henry J. Kerner wrote, "Mr. McBride deserves praise for bringing forward the numerous barriers to life-saving organ transplants for veterans. Research by experts at the Cleveland Clinic and the University of Pennsylvania backed up much of what McBride disclosed. Veterans who rely on the VA for kidney transplants are less likely to actually receive a transplant - and more likely to die waiting - compared with other patients in need of the same surgery, according to findings released in November 2017 by Dr. Joshua Augustine of the Cleveland Clinic. The reporting sparked Congress to write new legislation, and President Trump signed reform measures into law as part of the VA Mission Act in June 2018. The new law allows veterans to get transplants closer to home and gives more control over whether they need a transplant to their primary care doctor. Frank says he and his family knew all along there was nothing really wrong with his memory. “But nobody seemed to want to listen to that,” he said. The VA is now reconsidering approval for Frank to receive a transplant. That is why they flew Frank and his daughter to their transplant facility in Pittsburgh to begin the process. While Frank says he feels good now, he knows time is not on his side. 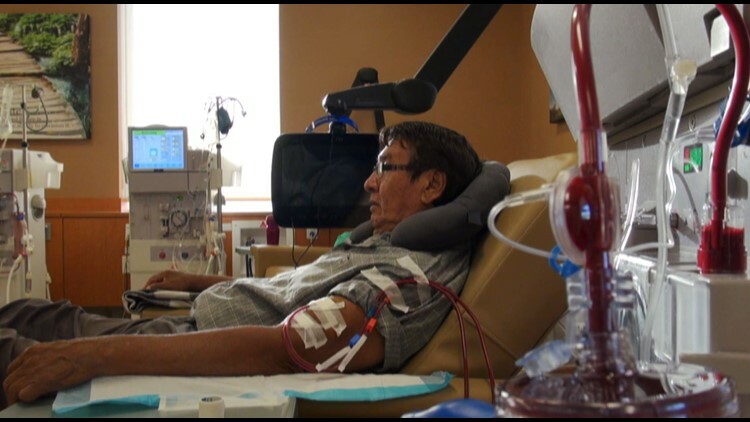 The average life span of a patient on dialysis is just five years.